The MITOMED project’s 12th project meeting was held in Girona (Spain) on 24/25 January. The project partners met at the University of Girona to take stock of actions to date and discuss the project’s progress and continuity. Each partner presented the ongoing activities in their own territory, which are being finalised. The indicators and platform guidelines were also further tested to avoid any misunderstanding and ensure the platform’s quality for wider replication. 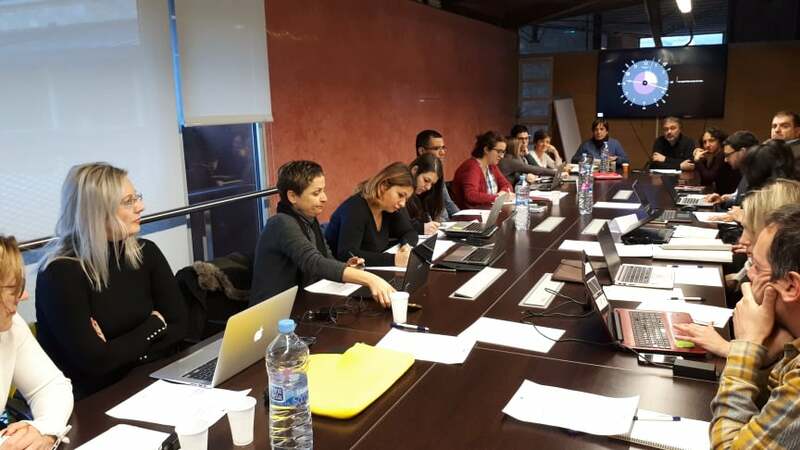 The CPMR’s Intermediterranean Commission (IMC), coordinator of the Capitalisation work package, shared its draft capitalisation plan to discuss the upcoming activities and get feedback from the partnership. Among the key forthcoming events to be organised at local level are the policy learning seminars. High-level local stakeholders and project pilots will be the main target group of these seminars and are likely to work on policy recommendations to be integrated into the MED M&C tourism management model, led by the IMC is in charge. The MED M&C tourism management model will take stock of relevant EU and MED projects, the measures and principles to be applied and the future planning instruments. Following this, an update on the Sustainable Tourism Thematic Community work on policy factsheets and other relevant MED initiatives was presented. One of the key upcoming events discussed was the IMC Political Bureau and seminar on emerging strategies and blue growth, held in Barcelona on 4 February, back-to-back with the Med Cat Forum. The second day was dedicated to the inauguration of the first Catalan Green Beach in Sant Antoni de Calonge (Costa Brava). The Green Beach interventions were presented by the city council authorities in Torre Valentina beach. You can also visit MITOMED+’s website: https://mitomed-plus.interreg-med.eu/.